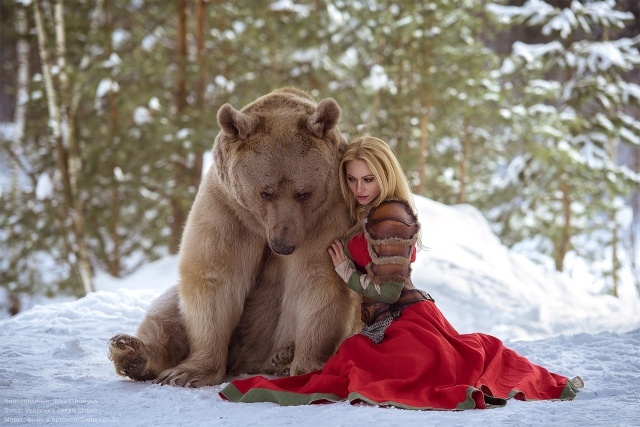 Russian model Darya Lefner is surprising all her fans with a new and sort of extreme photo session with a bear. 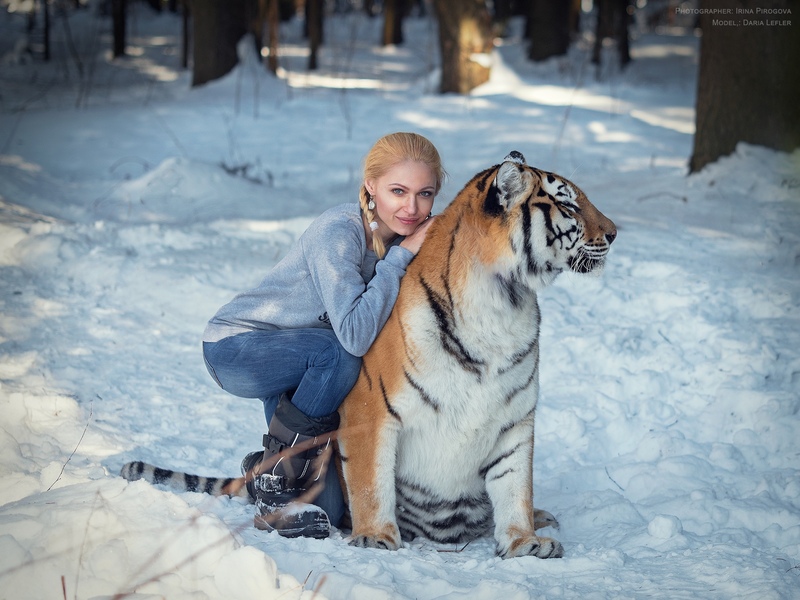 It is not a photoshop or some other manipulation – girl is posing with a beast. And she does it not first time. Could you risk yourself like this? 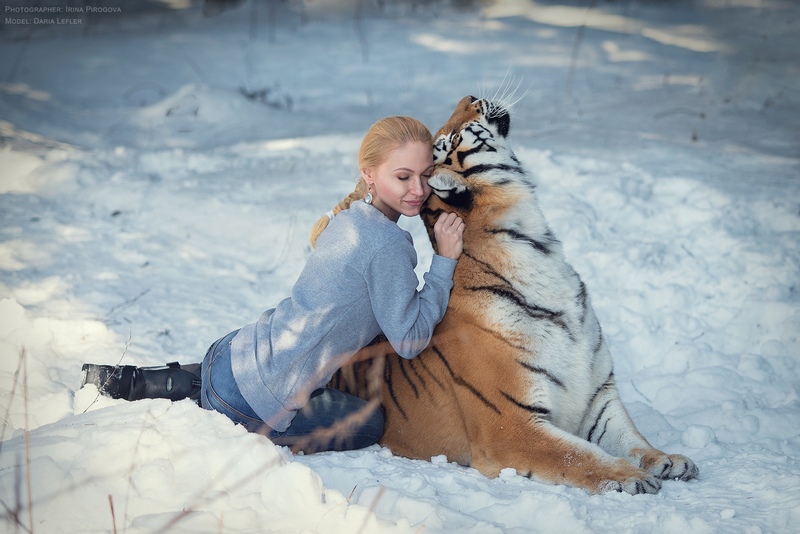 Darya used to make more photos with wild animals before. What a hug. 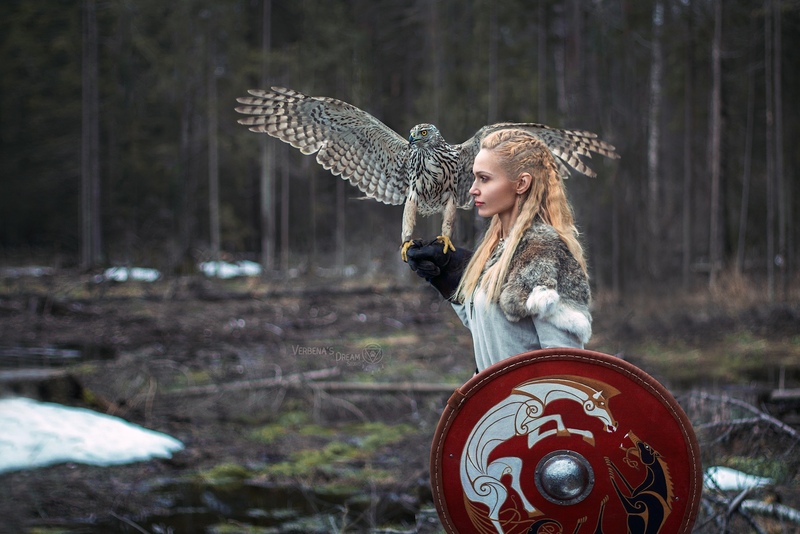 Probably its just, us, Russians, we have something in the blood. 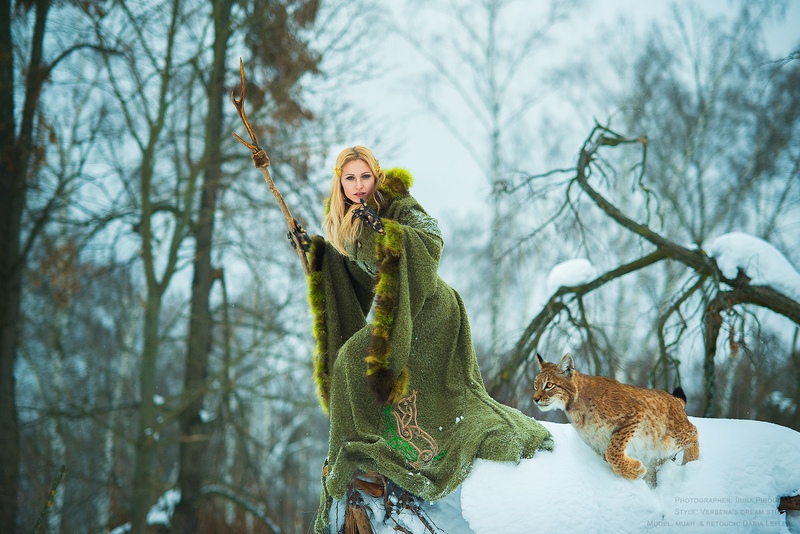 Adult Masha and the bear?? Have her washed and brought to my quarters. Doubt she would like your mum’s basement and all the lotion on the hand rail. 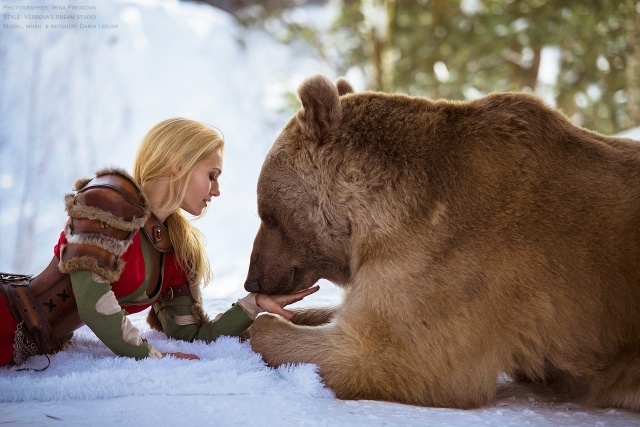 After good meal friendly bear don´t care about girl nothing. 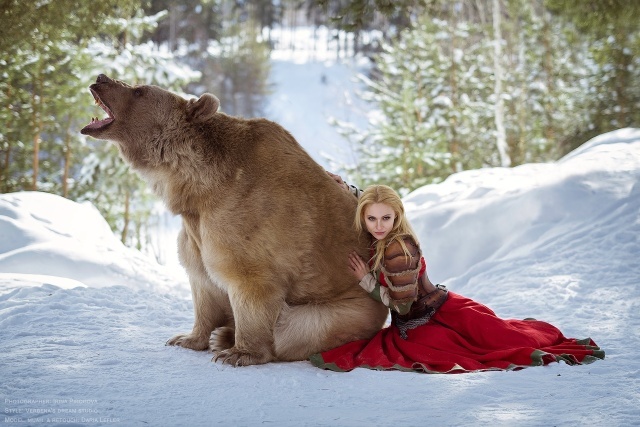 No No No No Noooo, I’ll pose with a Gold Fish but a full sized Brown Bear? Hell NO. 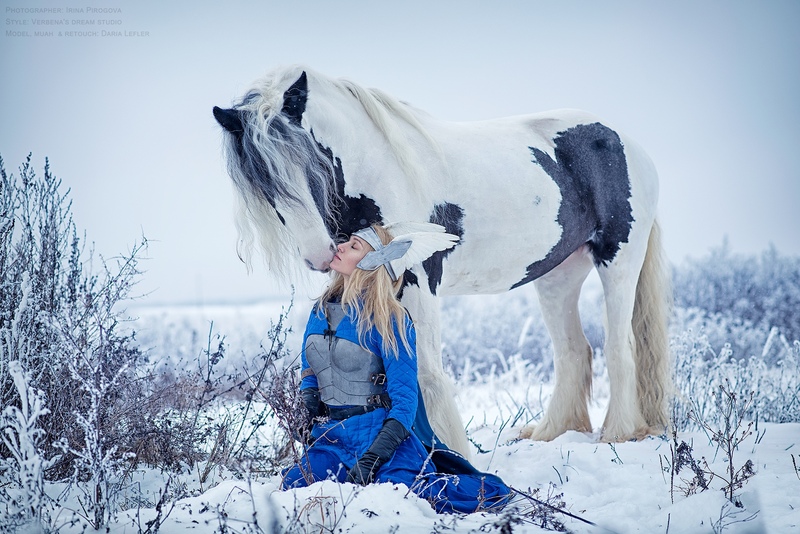 both beautiful real beauty and beast.